It’s no secret that I’m obsessed with DNA testing and how amazing these tests are. With the popularity of sites like Ancestry.com, 23andMe.com, and the countless television programs where celebrities and noteworthy individuals find interesting stories in their family history, it’s no wonder we’ve all become genealogy enthusiasts. For adult adoptees, DNA testing means something else: an opportunity to find out who they are, who their birth family is, and to possibly connect with those individuals. The benefits of DNA testing for adoptees are numerous, but particularly in speaking with them, it is apparent that they are looking to learn their medical history, meet biological relatives, better understand who they are, and gain a greater sense of self. When you go to the doctor for even a physical, one of the first things you have to go over is your family’s medical history—from heart issues to cancer, asthma to Alzheimer’s, and everything in between, your doctor will likely ask you for these details to know what to look out for when treating you. Not having this information can be a struggle to an adoptee. In talking with adult adoptees, as they become adults, who have health issues, or who have children of their own, understanding their medical history and genetics is even more important and DNA tests have helped with filling in those gaps for many. Kathy was adopted in 1950, and as she got older, noted that her health history was a primary reason to send in her DNA to find out more information. Thanks to genetic testing, she connected with many family members, and she was able to learn about her birth family’s medical history from her biological sisters and brothers. Katie, an adoptee in her 30s, explained that health history was very important to her. In fact, when she did the DNA testing, she wasn’t looking for her biological family, but primarily using it to gain data to better understand her health. “I was really just looking for health information and thought I might find out some other cool information about my genetics,” she said. In fact, Katie’s reason for looking is not dissimilar to why many people begin their search and is a suggestion that some adoptees (and people who are separated or estranged from their family) are receiving from professionals when they seek to learn more about their medical background. 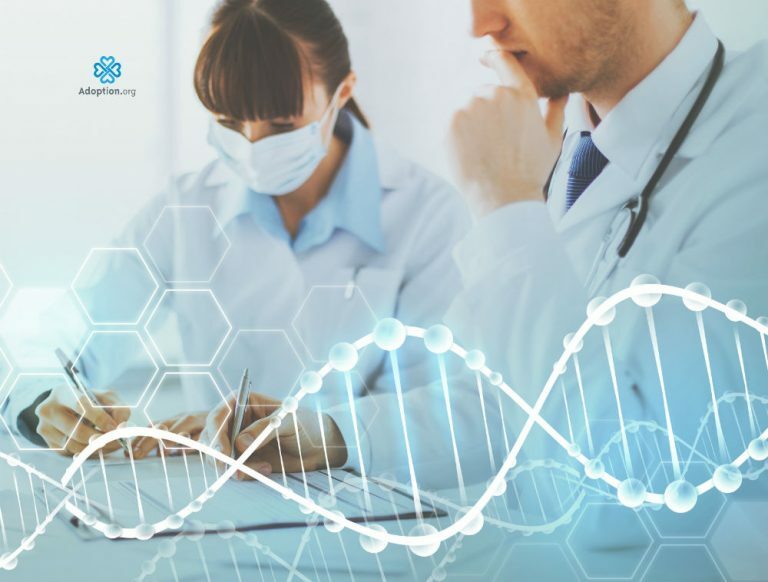 Though DNA testing may not give you all of the results that you desire, there are opportunities to find out more about your health history that might help connect the dots to some issues you’ve been having or highlight some things to watch out for. This also gives you a history to pass on to your children as they begin to need it should that be a concern for your family. “Along the lines of health, I have been able to have more educated discussions with my practitioners about things I may need to look out for. Personally, knowing my family history and knowing who I look and act like has been a huge confidence boost for me,” Katie said. As many times as people turn to genetic testing for health issues, they also are doing it in hopes of connecting with a biological family member. Both Kathy and Katie have amazing stories about finding their birth families (of which you can read more here). Though these stories aren’t always typical, genetic testing had a huge impact on both of these women because they met their birth parents. (Both of their stories give me chills and are worth the read!) Kathy was able to meet her birth father and Katie has met and developed a relationship with her birth mother—whose life was just as impacted as Katie’s in this discovery through DNA testing. Kathy was actively searching for her birth family, as well as trying to gather information to learn more about her story. She was able to meet many of her biological brothers and sisters on both her father’s and mother’s side and was even able to meet her father before he passed away. She gained a lot of information, like photos and documents, through meeting her family and getting more details about her past from the testing. DNA testing has impacted Kathy in that she has had the opportunity to begin to build relationships with her siblings. Katie has forged a relationship with her birth mother despite just taking the test for health reasons, and their first anniversary of being reunited is looming this Easter season. For those who have met their biological families, the reality is that meeting their parents, brothers, sisters, and in many instances, cousins, has been life-changing. Though Kathy and Katie chose to test their DNA for different reasons, they both gained a greater sense of where they came from and who they are. Katie explained the impact of understanding who she was in relation to her biological mother, Maggie. “At the risk of sounding vain, there is something unexplainably life-changing about knowing who you look like,” she said. “I think most people who see it every day growing up take it for granted because it is just a given. I’ve never had that luxury and I (cheesily) feel more beautiful now that I know. This is an opportunity that not everyone gets to experience, but if possible, connecting with biological family members may allow you to connect with someone who has similarities to you. If you’re reading this and are still hesitant about seeking your birth family, Katie explained that there is a value in knowing where you come from, your family history, and gaining a deeper sense of who you are. You’re Intrigued. What are your Next Steps? If you’ve been inspired by reading Kathy and Katie’s stories and want to move forward, there are a few things you need to do. Different DNA testing companies offer different results. You can also request genetic testing from a doctor in some cases, should you be interested in testing for cancer, etc. Find the test that you think is best for you and your needs. Remember that when you send your sample into online databases, you should be prepared to be connected with family members, so if that really isn’t your desire, you might want to wait or seek a test from your doctor. 2. Only reach out to your comfort level. Again, you’re not obligated to speak to or meet family members if that’s not something you’re comfortable with. This is super important as you need people to help you through this process. As exciting as meeting your biological family can be, it might also bring up some emotions you aren’t prepared to feel. In speaking with adoptees, they said they’ve wanted people in their corner to share their excitement, join them as they meet family for the first time, and to be there to listen as they work out some of the issues that could occur as they go through the process. Though this is very exciting for you, remember that not everyone else that you “meet” along the journey will share your feelings. In many cases, some of the family members that “discover” you through DNA testing, may not know about you or have the information you’re after. Remember that this is an emotional time for you—and will be an emotional time for the family members that you may find. This is a topic/situation where you need to gather as much information as possible to ensure that you have all of the tools you need to move forward with your search. For more information on finding a DNA service that works for you, click here. Read this article for more tips on finding your birth parents through DNA. Overall, keep an open mind. Though you might not have the outcome you expected, the reality is that you have the opportunity to learn something new about yourself, gain the medical history you’ve been lacking, and perhaps, meet a family member that can tell you more about your story.